GDPR is an initiative of the European Union and is probably the most far ranging and most important ruling concerning data privacy of all time. It’s goal is to ensure peoples’ data is secured and isn’t abused. It applies to all companies handling the personal data of EU citizens regardless of the company’s size or location. Worryingly, very few people know what this actually means for them and their business. It’s no surprise really considering that; despite the deadline for GDPR compliance being 25th May 2018 there are still no fully recorded specifics of what compliance is. The result of this is that there is a lot of guess work and assumption as digital agencies scramble to tick every potential box or simply hope that everything will work out ok in the end. Neither of these 2 options are a good idea considering that the penalty for non-compliance is up to €20 million, or 4% of an organisations worldwide annual revenue. So, how difficult is compliance and how can you avoid breaking the law? Read on for our beginners guide. You must: Have a lawful basis for the collection and processing of individuals personal data. You must: Be fully transparent about what data is being collected, how it will be used and how long it will be kept. You must: Allow individuals to access a copy or request the removal of their personal data. You must: Adopt a ‘privacy by default’ approach to the design of your services and products. You must: Document all of this in a readily understandable form. This should probably be your first step. Identify someone in your organisation who will formally be responsible for data protection and assign them the role of Data Protection Officer (DPO). They can be an existing employee (as long as it doesn’t cause a conflict of interest) or an external contractor. The important thing is that they must have a good understanding of the role and the necessary authority and resources to carry it out effectively. Your DPO will be a named individual on your all your public-facing documentation and be the first point of contact for both regulatory bodies or individuals with privacy concerns. To respond effectively to GDPR you need to understand what data you currently capture and how it is being handled. Our suggested way to get started is to create a simple spreadsheet with a column for each of the aspects listed below and fill this in for every type of customer data you hold. This should quickly provide an overview of your current position. It’s likely that whoever you appoint as DPO won’t hold the full picture so you may need to involve team members from sales, marketing and technical development to ensure you have everything covered. Generic catch-all phrases like ‘we may share your data with selected third-parties’ need to be clarified with details about who those third parties are, what data is being shared, for what purpose and how it will be handled. However, your initial website audit should provide most of the information you need. So, the main challenge is in how to present this info in an accessible way for your users. We think GDPR is a good idea, however, compliance before the deadline of 25 May 2018 is causing a lot of stress for many businesses. 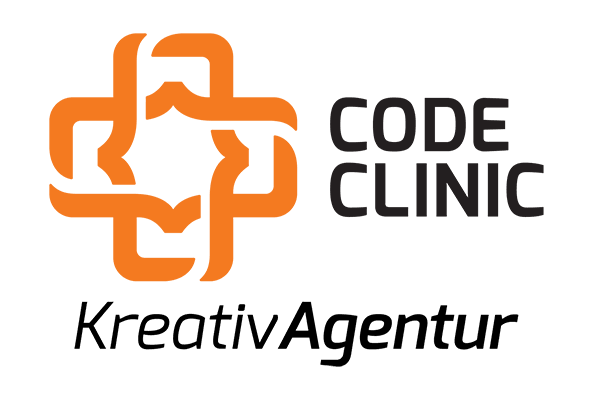 If this includes you, give Code Clinic KreativAgentur a call today on +49 (0)9181-8833-897 (de) or +44 (0)161-408-4759 (en) today.